Mom, the Intern: Inalienable rights. As you know, today is 11/11. Veterans' Day. I remember as a kid, the school would usually invite a veteran or two come and share their war stories with us. I was always captivated by their presentations, honored to hear their solemn memories. I thought about how I could never be brave enough to put my life on the line for my country the way they did -- the way my grandfather did in Korea. As evidenced by the above picture, many don't live to tell their stories of combat and heroism. 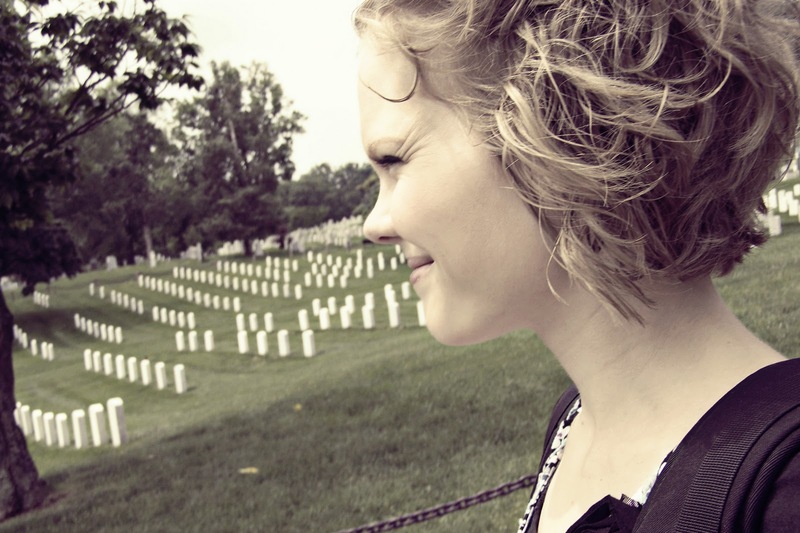 In D.C. this past summer, I had the humbling opportunity to visit Arlington Cemetery. President John F. Kennedy is buried there. Many know he is famous for saying this during his inaugural address: "And so, my fellow Americans: ask not what your country can do for you—ask what you can do for your country." Who better to epitomize this statement than the courageous servicemen and women who willingly volunteer to fight for our inalienable, God-given rights? We have these because of them. God bless our veterans -- past, present and future. As a military wife, this truly makes me smile :) And couldn't be more true. What a great tribute to veterans! Thanks for sharing!